The stunning images of distant objects in the Universe are well know around the world and do more to bring astronomy to the wider public and to inspire future astronomers than words ever could. 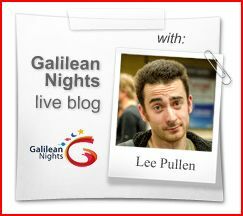 Run in partnership with Europlanet, the Galilean Nights competition encouraged anybody with enthusiasm for astronomy to try a different approach to their observations. Don't just look at the skies, take a photograph of what you see! The Galilean Nights astrophotography competition consisted of two categories, "Earth and Sky" and "Beyond Earth". The competition closed on 27 October 2009, the shortlist was selected soon after and the winners announced on 21st December 2009.